. 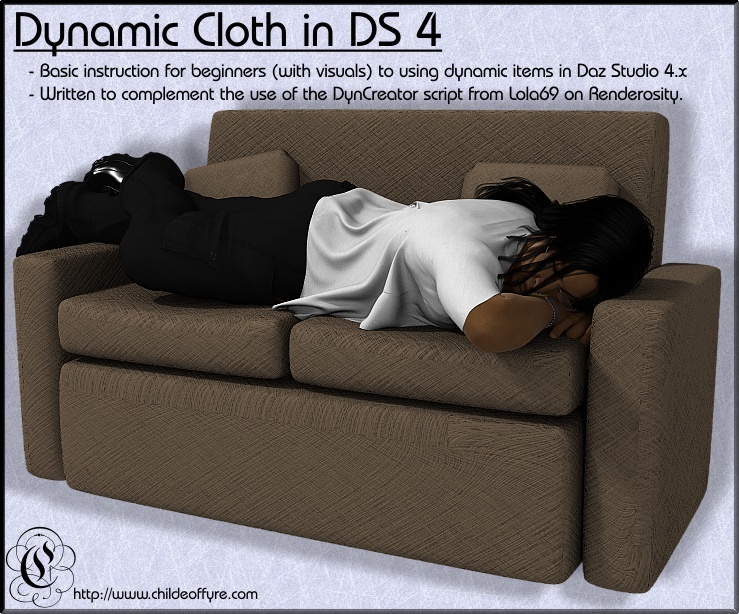 :: Tutorial : Dynamic Cloth in Daz Studio 4.x ::. This is a tutorial for using dynamic cloth in Daz Studio 4.x. You'll need DS 4, and either a dynamic cloth item of choice, or something to convert to dynamic. -- Converting a conforming item to dynamic cloth. -- Converting a static prop to dynamic cloth. -- A basic introduction to how to perform your first cloth drape and simulation.